Build your Universal Studios package now! 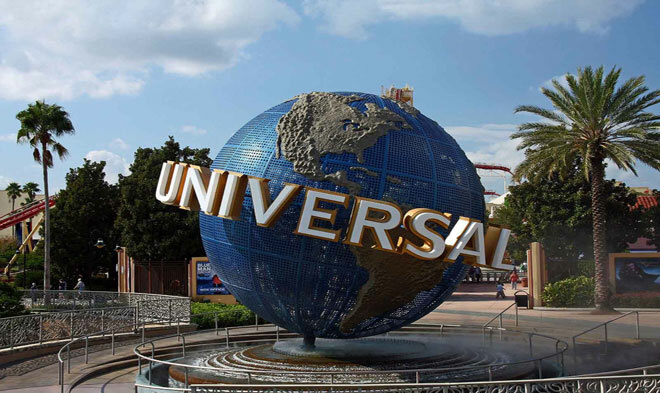 When would you like to go to Universal? With Walt Disney World as the dominant theme park complex in Orlando, you might not know much about Universal Orlando Resort, its neighbor to the northeast. 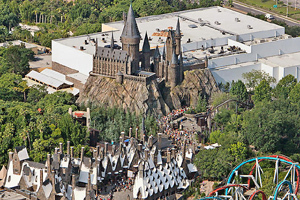 Do you know how many theme parks make up the resort and which one is home to the Wizarding World of Harry Potter? Are you aware of the entertainment options at CityWalk, located adjacent to the Universal parks? 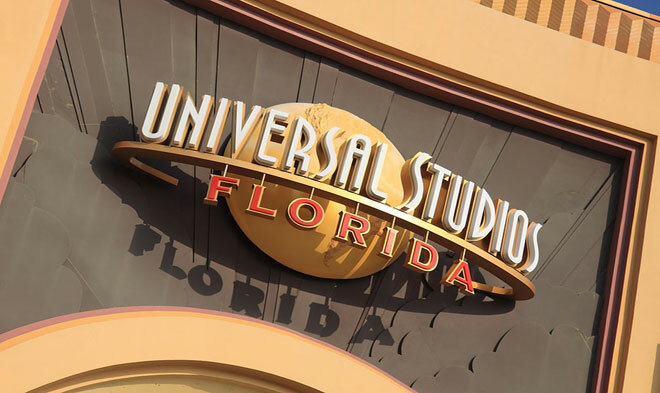 Universal Orlando Resort has several entrances on Universal Boulevard, Turkey Lake Road, and Kirkman Road, all of which can be reached easily via I-4 or State Road 535. Just jump on I-4 and take it to the Sand Lake Road exit, then turn onto Turkey Lake Road, or exit at Universal Boulevard or Kirkman Road. If you're in the Lake Buena Vista area and want to avoid the expressway, take 535 to Sand Lake Road, then turn on Turkey Lake and head to Universal entrance. 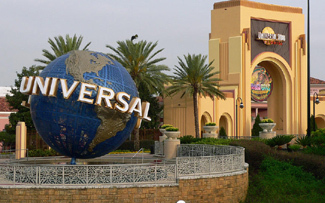 If you don't want to drive, many hotels offer shuttle service to Universal Orlando Resort. Otherwise, you can arrange your own shuttle ride to the parks. Universal Studios Florida was the first of those parks. 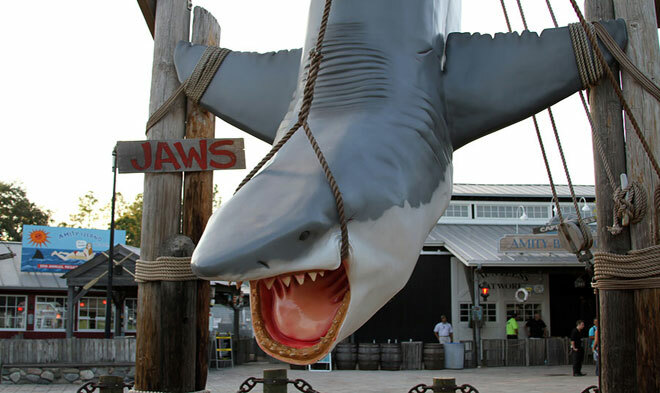 It opened in 1990, with rides themed to such movies as Jaws, E.T., and King Kong. Movie-themed shows included Alfred Hitchcock: The Art of Film Making Movies and Universal Orlando's Horror Make-Up Show. Islands of Adventure opened next door nearly ten years later, in 1999, as more of a traditional theme park. 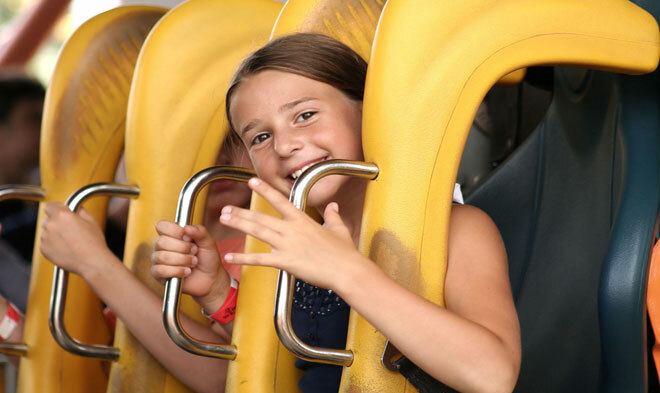 Its thrill rides included the Incredible Hulk and Dueling Dragons roller coasters, a Jurassic Park section, an area devoted to the Marvel Super Heroes, and Seuss Landing for young children. Universal Studios Florida has changed much more than Islands of Adventure over the years. Most of the original rides have closed, but rides and shows themed to the Simpsons, Despicable Me, Men in Black, the Mummy, Shrek, and Terminator sprang up in their place. Although the two parks are right next to each other, they require separate admission tickets. You can also buy a two-park ticket that lets you move between them all day. 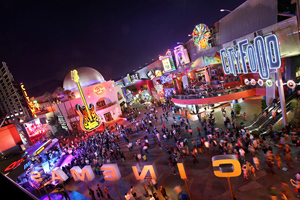 CityWalk is a great spot for nightlife after the theme parks close or if you just want a change of pace. It has numerous clubs and restaurants, like Bubba Gump Shrimp Company, Hard Rock Cafe, NBA City, the Latin Quarter, and Jimmy Buffet's Margaritaville. Family-friend fast food options include Burger King, Moe's Southwest Grill, Panda Express, and Cinnabon. You can catch a movie at the AMC theaters or play a round or two of miniature golf at the Hollywood Drive-In. You can even see a Blue Man Group performance in the Sharp Aquos Theater. The two courses pay tribute to horror and science fiction movies. Stores include Tommy Bahama, Katie's Candy Co., the Endangered Species Store, the Universal Studios Store, and Fossil, Inc. There's no admission charge for CityWalk, so you can visit it any time, even if you don't plan to go to the theme parks. You'll be charged for parking, but rates drop in the evening to attract more business to the shops and eateries. Many Orlando visitors believe that the Wizarding World of Harry Potter is a separate theme park with its own admission charge. Some even think they'll find it at Walt Disney World, but it's actually park of Islands of Adventure. Your regular theme park ticket gets you into Hogsmeade, too. The highlight is Hogwarts Castle, which houses the signature ride Harry Potter and the Forbidden Journey. 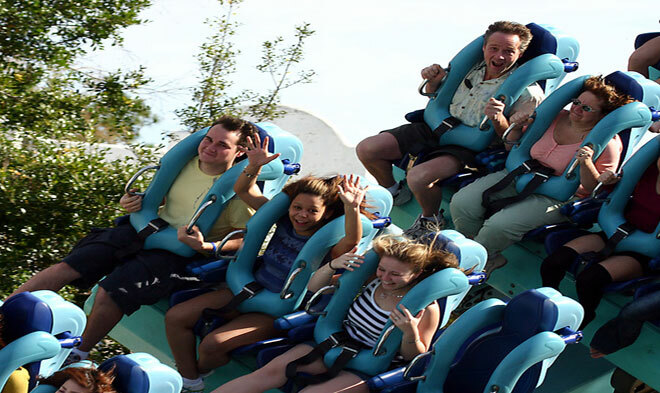 The area has two other rides: Dragon Challenge, which is a re-themed version of the former Dueling Dragons roller coasters, and the Hippogriff family coaster, which used to be the Flying Unicorn coaster. Bring some extra cash or charge cards if you're a Harry Potter fan because the section is packed with themed shops, too. Buy a broomstick, robe, or wand, sample the sweets at Honeydukes, or buy something silly at Zonkos. Harry is rumored to be taking over part of Universal Studios Florida. Watch the construction rising on the site of the old Jaws ride and you just might recognize London taking shape over the next year or two. If you'd like to stay near Universal, the Best Western Lake Buena Vista Resort Hotel, Holiday Inn Resort Lake Buena Vista, Grand Beach Resort at Lake Buena Vista and Grande Villas Resort at Lake Buena Vista are all located just off 535, which makes them convenient to both Universal and Disney. Check out www.orlandotravelprovders.com or call 800-618-5002 for more information on convenient hotels and discount vacation packages.